assassination of Martin Luther King, Jr. at 6:00 pm, April 4, on the balcony of the Lorraine Motel. 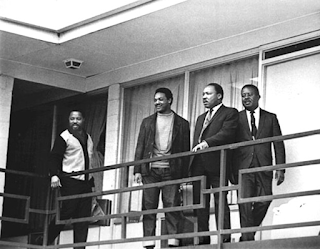 King gave a very emotional final speech the night before to Memphis civil rights and sanitation workers and his preacher colleagues, which spoke of his premonition that death was coming. King was pronounced dead an hour after the shooting. A wave of riots broke out in more than 100 cities. It was the greatest occurrence of civil disorder since the Civil War and saw more than 45 deaths and 15,000 arrested. April 7 was declared a day of national mourning. 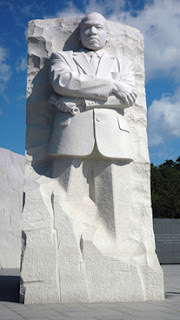 Forty-three years later, President Barack Obama dedicated a four-acre park and monument on the National Mall to King. 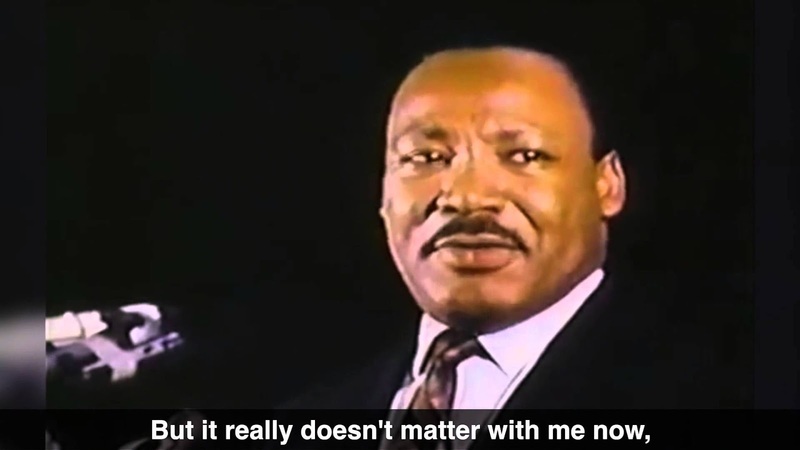 of hope.” Martin Luther King, Jr.